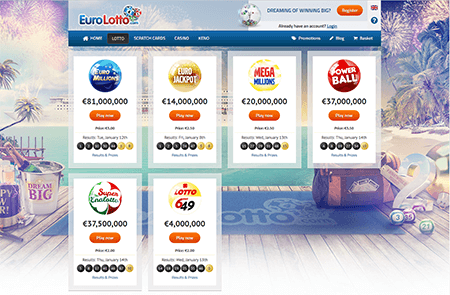 EuroLotto is an excellent addition to the Accredited section. They are a solid brand – sister site to the renowned “Cherry Casino”, and have been getting some very positive reviews by our forum members. Their casino support is responsive and ready to deal with any questions or situations players may have with their operation. The thing is, if you are into the lottery, this is the place to play. 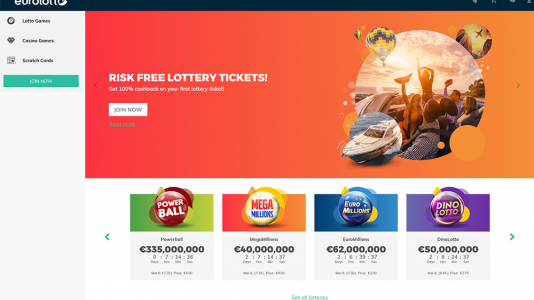 You can buy lotto tickets for EuroMillions, EuroJackpot, MegaMillions, Powerball, SuperEnalotto, and Lotto 6/49. And on top of that, they have scratch cards and casino games. Downside is that their payout and reverse time is not as quick as some of their competitors, but one thing for sure is you know you’ll get paid. 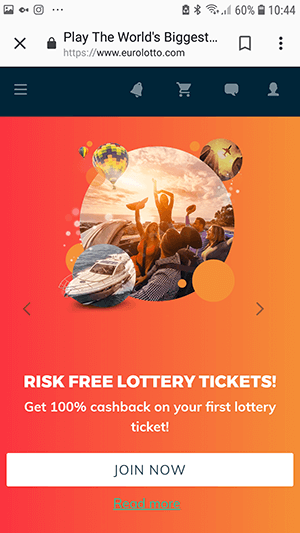 Loads of lotteries on your mobile or handheld device. EuroLotto has been around for a few years and has pretty much zero complaints. They have a relatively low profile, but if you are in the lottery and scratch cards, this is the place to go.